Ah, the heavens! Nice fluffy clouds. 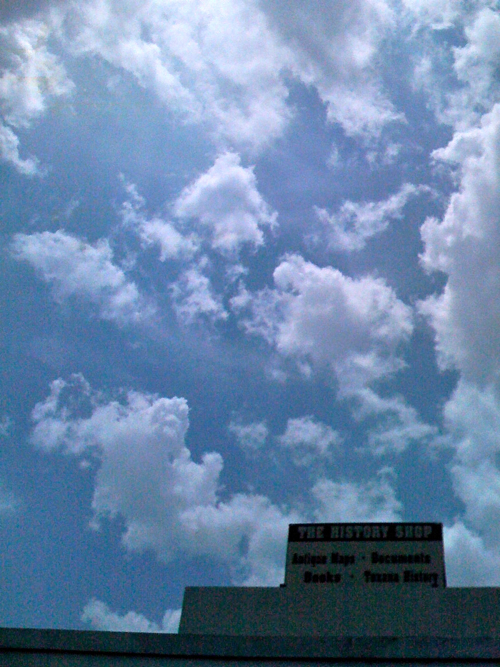 The sky over the Lone Star is as wide as the state – fair weather with moderate humidity, this sky offers a rich texture. Beautiful! Gorgeous sky! The color combined with the cotton candy clouds is just perfect. Beautiful shot! I love the fluffy clouds in the picture right up against the building.